Ceschi and Sammus were halfway to Middle Earth and almost airborne. Left foot to right, right foot to left, the stage firm beneath them. Someone whipped out a lighter and began to sway. Back on stage, David Ramos beat the drums into a heartbeat. Max Heath's keyboard and Alyssa Kai's clarinet fused to approximate bagpipes. Friday, a sold out crowd packed The State House to celebrate the release of Ceschi’s Sad, Fat Luck with guests artists P.O.S, Astronautalis, Sammus, and Siul Hughes. An afterparty at Cafe Nine added José Oyola, Sketch tha Catalclysm, Stumblebum Brass Band, and DJ Halo to that lineup. More on the album and tour are available here. 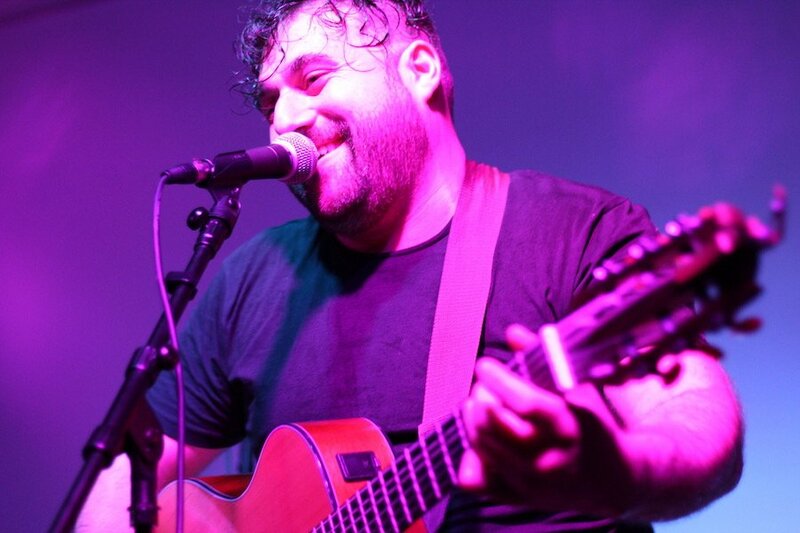 With the album, Ceschi has brought a new sound that is still quintessentially his—crushing and heartfelt, with lyrics that are tight and stunningly honest. From the beginning of the first track, he invites his listener all the way in, laying plain his grief with equal parts beauty and unbelievable sadness. As his voice cuts in over the track, a vibrating, synthy beat from Factor Chandelier builds around him. The whole album has that confessional quality, not of self-pity but of truth-telling. He returns to old material and remixes himself, doing a sort of study in who he has been, and where he’s going. 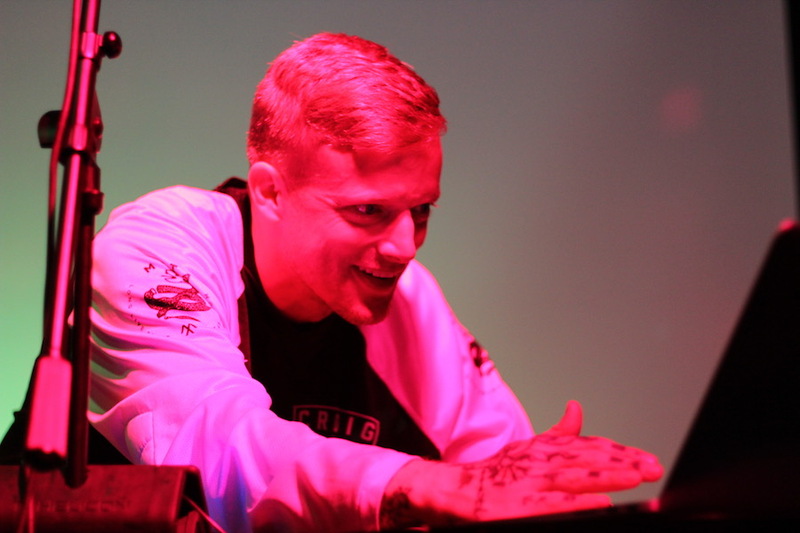 Some tracks are an immediate and welcome assault on the senses; others start off bare and become symphonic, with a mix of dramatic beats, tight instrumentals and ethereal vocals. It’s an opera of devastation and picking oneself up off the ground too many times. In “Daybreak,” listeners have to juggle the artist’s clean, pain-flecked vocals with jaunty instrumentals that have a Yann Tiersen vibe. It’s heavy and precise: in “Sans Soleil,” grief seeps into the artist’s voice as he chronicles the losses of his friends. The song, like the album’s artwork, channels the Chris Marker film, a rambling meditation on loss and memory that seems to go on forever. In this world, the song ends with a voice memo of the song in-process that tears your heart right in two. Friday, tens of attendees seemed to have already memorized the full album, despite it dropping only a day before the concert. 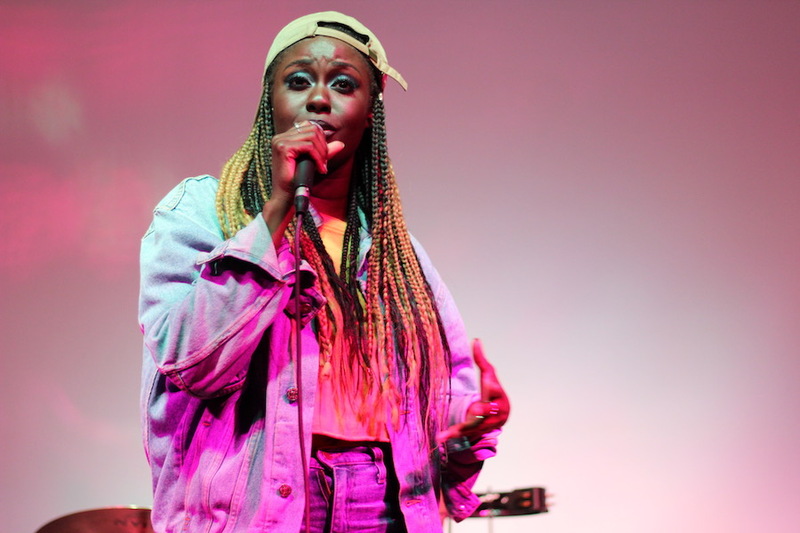 As many filed in the front of the venue, they cheered on Hughes, Sammus and Astronautalis, who kept the venue on its toes as attendees waited for the main act. 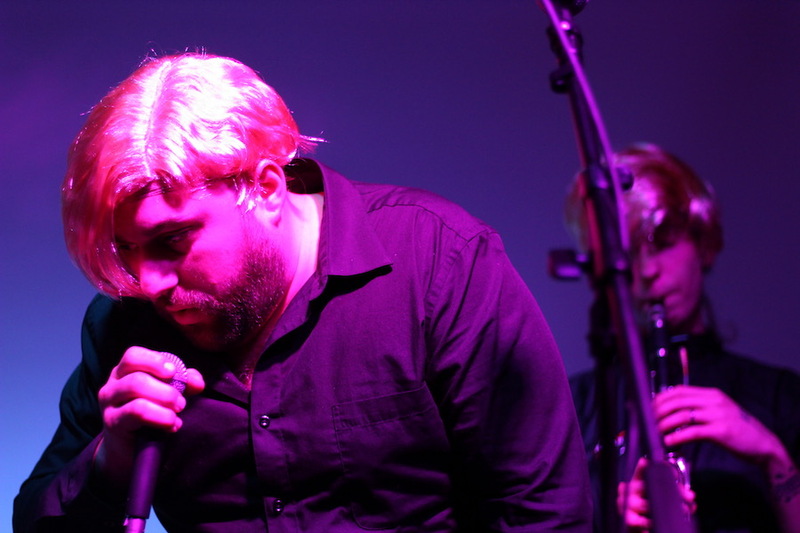 One by one, the artists laid out a lyrical sort of red carpet for Ceschi, praising him for his own work and keeping the crowd moving at the hips, legs and ankles and necks. Just when the audience thought it had heard her full range, she hit “Time Crisis,” a deeply relatable rip to those who see women as baby making machines after the age of 30. Her voice slid from low and gravely to a full-lunged scream that was somehow not a scream at all. “I’m living my liiiiifffeeee, and I wish you would live yours,” she proclaimed to wild cheers from the crowd. She knit Heiddiger to tofu, reproductive health to existential timelines. The crowd cheered her on with cries of “yeesss!” even as she cleared the stage for Astronautalis, who kept the momentum going. Just minutes later, that sacrifice was front and center as Ceschi took the stage with a full band. Band members trickled on one by one in black-on-black and platinum blonde wigs that didn’t seem like they would stay on for long. Walking on last, the artist threw him right into the album’s first track, promising the crowd that he would play Sad, Fat Luck all the way through—with some old favorites thrown in. In the audience, attendees crowded in closer to the stage and started to move with one thick, weighted pulse. Early in the set, he broke up new songs with old, drawing cheers as he transitioned into “Say Something” off his Broken Bone Ballads. As he played, old friends made it onto the stage one by one: Alex Burnet on banjo, John Panos on trumpet, Jose Oyola on flute. The stage was hardly big enough to hold them all, and that was a good thing. By the time he invited Sammus up to the stage for “Middle Earth,” the house was completely packed. Through The State House, music floated up to the roof and dipped back down, bathing the crowd in sound and reverb. 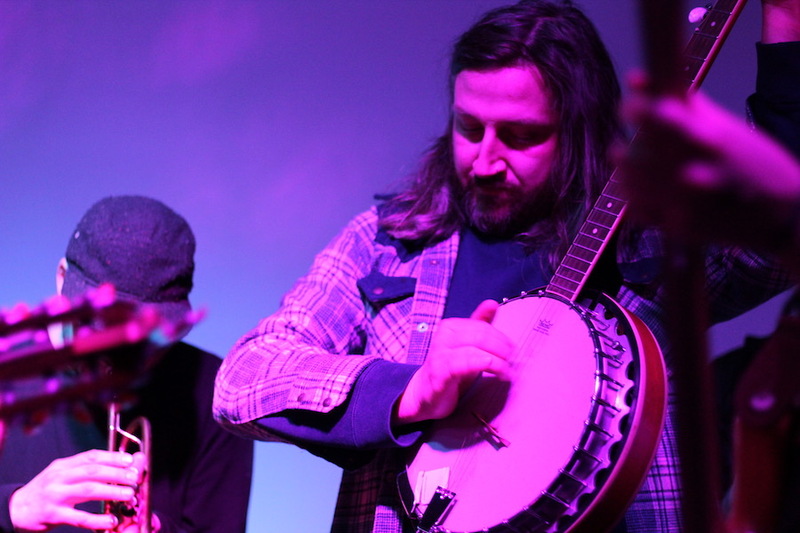 On stage, Ceschi and Sammus were nearly coordinated as they went from one foot to another. All over the stage, there were remnants of the artist’s pain, laid bare between the keyboard and the vibraphone, the clarinet and the amp it was hooked up to. All the way to his mom, near the stage at the front of the audience. The two danced stepped into it, and kept going. To purchase Sad, Fat Luck or learn more about the album, check out the artist's Bandcamp. 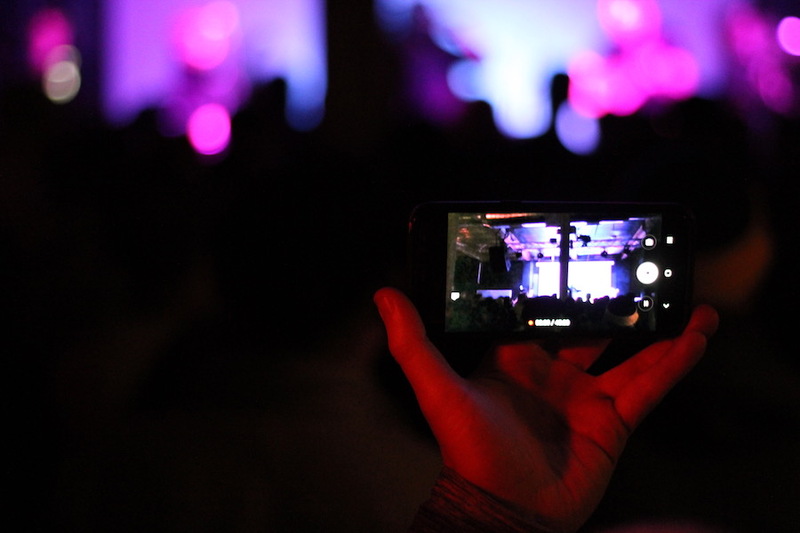 For more from the concert, check out the videos below, made possible in part by The Arts Paper's relationship with the New Haven Independent.